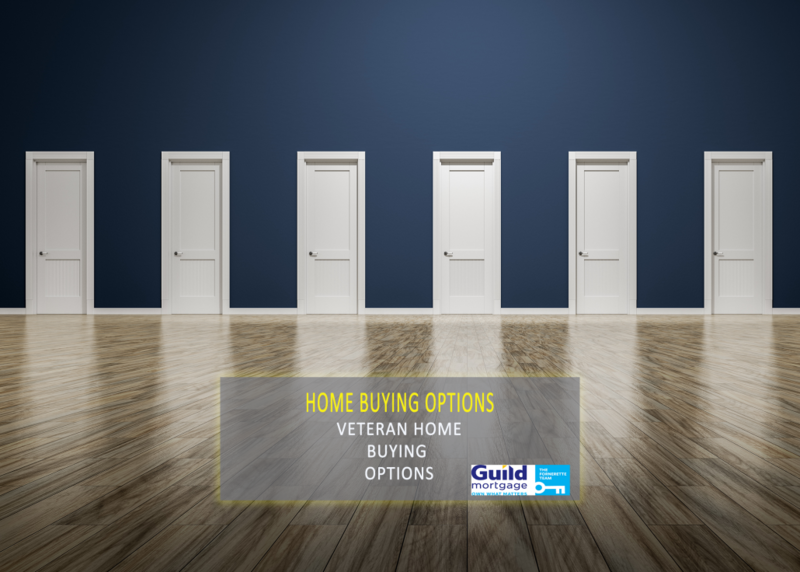 If you’ve decided you want to buy a home rather than renting or signing up for quarters on your military installation, the next important step is to determine which type of loan is the right one for you. As an active duty service member or veteran, you have more options when it comes to shopping for home loans than does the average person. 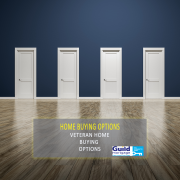 Here are some Veteran home buying options. There are some essential steps to take in order to apply for a VA loan. As is true of all borrowing in today’s financial markets, you need to be able to show good credit history and responsible money-management habits and be able to afford the house you want. Veterans will need a copy of their DD214 showing an honorable discharge; active duty or National Guard applicants will need a statement of service verified by their chain of command. To get your VA Certificate of Eligibility (COE), go to https://www.ebenefits.va.gov/ebenefits/homepage. Or, mortgage lenders who are experienced in processing VA loans often have access to the Web LGY system and can usually help you get the COE once they have a copy of your DD214. Conventional loans are also one of the most popular Veteran home buying options. If you find a conventional home loan that offers competitive terms, then you may benefit from the fact that Washington is one of several states which offer assistance to some military service member or veteran homebuyers. These programs are especially geared toward first-time homebuyers and can be very helpful to applicants at the junior or mid-career military income levels. King and Snohomish Counties offer assistance to qualified buyers whose annual income does not exceed $103,400; for all other counties in the state the income limit is $81,100. If you’re an honorably discharged veteran or were medically separated from the service under honorable conditions or are currently or formerly a member of the Washington National Guard or Reserves or are the spouse or dependent child of a deceased veteran, you may be able to qualify for downpayment assistance with repayment deferred for up to 30 years. You can find more information on Washington’s military home buying assistance programs at http://www.wshfc.org/buyers/keyveterans.htm. Which ever type of loan you decide to go with to purchase your new home, it’s important to take the time to choose the one that works best for you, because you do have options!